Judge Lynn Norton ruled the IDOC acted frivolously and withheld records the records in bad faith. 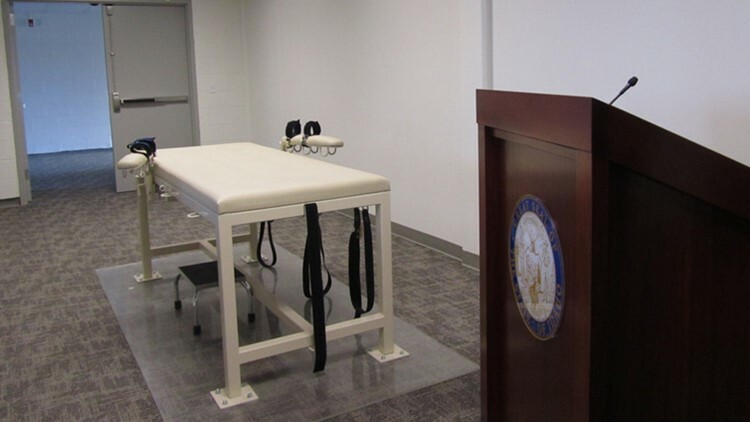 BOISE, Idaho — Idaho prison officials must release several documents on the death penalty, a judge ruled, including some that will reveal where the state obtained the lethal injection drugs used in its last execution seven years ago. Fourth District Judge Lynn Norton found Thursday that the Idaho Department of Correction acted frivolously and withheld the information in bad faith when it mostly denied a public record request from University of Idaho professor Aliza Cover in 2017. "We are studying the ruling and weighing our options with legal counsel," Correction Department spokesman Jeff Ray wrote in an email to The Associated Press. Prison officials have long said they fear they won't be able to obtain drugs for future executions if their potential sources believe they could be exposed. Major pharmaceutical companies have refused to sell medications to states if they think they will be used for executions, forcing some states to look for more novel sources, including compounding pharmacies and drugs from other countries like India. In her ruling, Norton said Idaho must release a receipt from the compounding pharmacy that provided the drugs used in Richard Albert Leavitt's execution in 2012. The receipt was for drugs expected to be used in a later execution, but none has occurred since then, and the compounding pharmacy is no longer allowed to provide chemicals to Idaho because it can't comply with current regulations. Because the information wouldn't likely have an effect on future executions, the document should be released, Norton said. Still, the department can withhold part of a document that might expose future suppliers of lethal injection drugs, the judge said, including the source that supplied the drugs used in Paul Ezra Rhoades' execution in 2011, because it may still be in the business of providing lethal injection drugs. "The information ... falls within a narrow statutory and rule exemption that permits withholding of a potential future source for lethal injection drugs or chemicals and that the agency's interest in confidentiality and security outweigh the public interest in knowing this lethal injection drug supply source," she wrote. Norton also found Ray, the department's spokesman, acted in bad faith by trusting that other prison officials would get him the right documents to release, rather than finding and reviewing them himself. "Ray was clearly the designated records custodian for IDOC tasked with the statutory responsibility for maintaining and releasing those records, had been trained in public disclosure, and knew the records existed," Norton wrote. "Yet, he did nothing to fulfill his responsibilities other than trust that others would." Because of that, Ray must pay a $1,000 fine for failing to hand over the records, Norton said. She also found the department acted frivolously by neglecting to provide more than 600 pages of documents and ordered it to pay court costs and attorney's fees for Cover, the professor who sought the information. The department doesn't have to reveal the identities of those who serve on execution and medical teams because they could potentially be at risk, the judge said. Cover said in a statement that Norton's decision brings the state closer to transparency. "When the state keeps secret basic information about the death penalty, the public cannot ensure that it is carried out humanely or constitutionally," Cover said. Molly Kafka, an American Civil Liberties Union of Idaho attorney who helped represent Cover in the lawsuit, said the ruling makes it clear that the Correction Department is not above the law. "Government officials across Idaho need to stop playing games with the Public Records Act," the attorney said.